Rapid advances in microelectronics, software, battery capabilities and electric motors converging with regulatory flexibility and evolving public attitudes have awakened a new era of aircraft design. GAMA is leading the way in ushering in the next era of aviation through the work of its Electric Propulsion and Innovation Committee (EPIC). Established in 2015, the EPIC works to ensure general aviation manufacturers’ innovation merges with the traditional regulatory regimes governing the design and operation of aircraft. The committee’s work also focuses on ongoing safety improvement initiatives toward simplified aircraft operations and establishing global standards for the industry. In 2017, the EPIC produced “Publication No. 16,” a standard developed to aid manufacturers and operators in the common determination of hybrid and electric aircraft performance measurements. 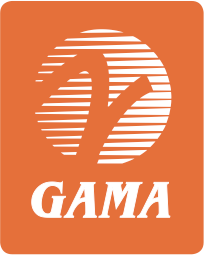 With so many activities underway, the GAMA EPIC maintains the following calendar of key industry events. To have an event added, please contact GAMA’s Greg Bowles (gbowles@gama.aero).